Before we start, I want to make it clear that in the eyes of Google, .com, .net, and .org have the same value. So, if you are hung up on ONLY getting a .com, this may be not the read for you. We are about ranking and making money. More and more people recently have been suggesting that EMD’s (Exact Match Domains) do not mean anything anymore. I hope people keep thinking this way for our benefit, and please do not bring up the algorithm update that happened in Fall 2012. We have not seen any effects. Exact Match Domains are still the easiest way to rank for a specific keyword. If you have relatively the same content as another site and you got the exact match, chances are you will take over in the SERP’s(Search Engine Results Page). Competition – How many sites out there are trying to compete for that keyword; Low, Medium, and High. 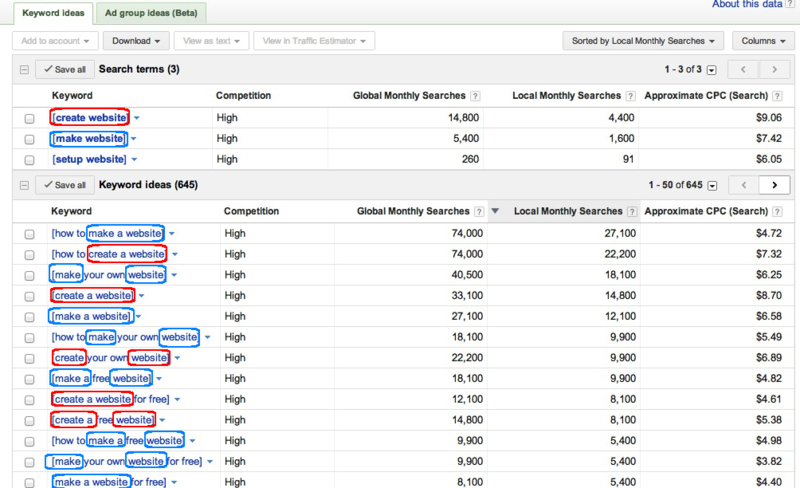 Global Monthly Searches – How many searches per month in the world. 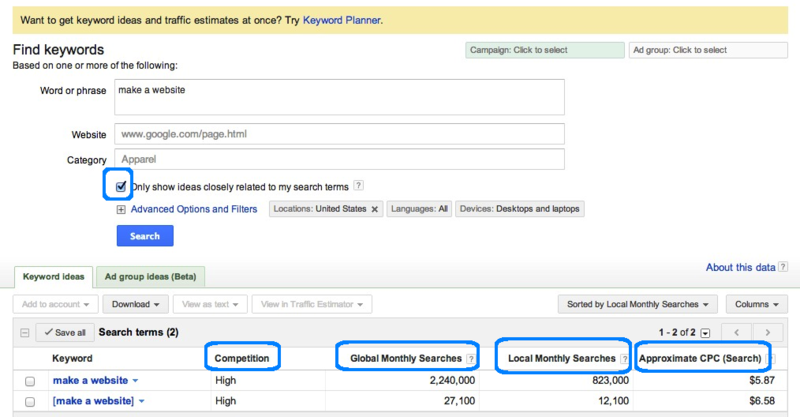 Local Monthly Searches – How many searches in USA. Approximate CPC – How much a keyword is worth when advertising on Google Search. As you can see, the items circled are the most important factors when reviewing a domain name. The 3 main factors are competition (Low, Medium, or High), CPC (Cost Per Click), and the exact match searches per month. I generally will not get into any niche that is high competition unless I have an Exact Match Domain. 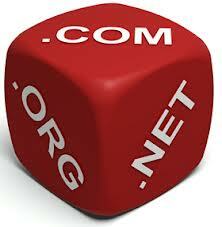 For the lower competition niches, it is easier to enter with an ‘e’ in front of your domain or if you are a Wiki. Cost Per Click (CPC) is also a very important figure. The CPC is Google’s estimation of how much it would be per click for the advertiser looking to be in the top 3 ads for that specific search. My measure of CPC is: anything below $1 is low, $1-$2 is good, and anything over $2 is great. Step 1 – We went on the Google AdWords Keyword Tool and looked-up what people searched when researching how to make a website. As you can see above, it is somewhat split between people using “make” vs. “create” a website. So we did an analysis and saw that even though Google will recognize that these are synonyms, the keyword “make” just barely won. So then we started looking up the domain owners. 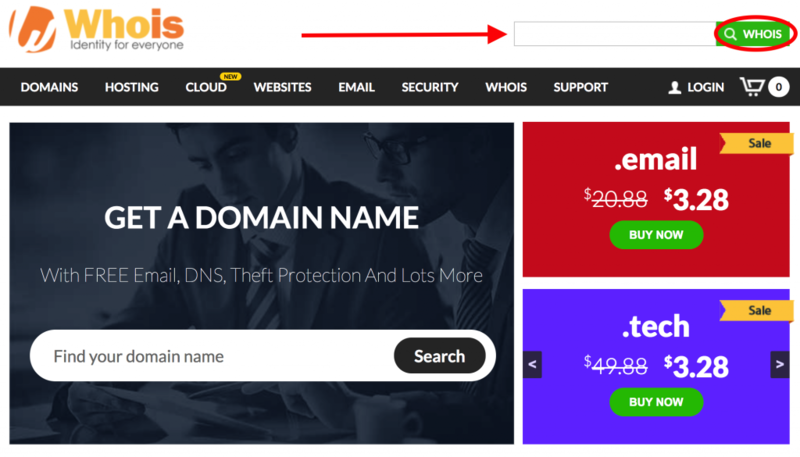 Step 1 – Go to WhoIs.com and input the domain you are inquiring about in the available space, then click ‘WHOIS‘. Step 2 – Now you will be able to see the public information about the domain. There is a chance that the person has a private registration, but as you can see below from the sample, you are mainly looking for an e-mail or a phone number. Step 3 – Contact. I usually send an e-mail and follow-up with a call if I do not hear a response. There are only 2 main domain sellers out there; Sedo and GoDaddy Auctions. Type the keywords into either and see if the domain is for sale. 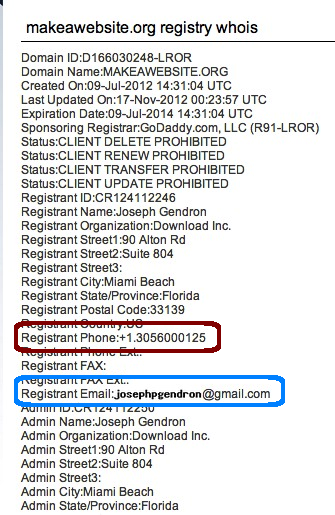 This is how we purchased this domain, it was for sale for $500 on Sedo.com. We offered $330 and the Webmaster accepted. Six (6) months later we got an offer for $2,000 which we declined. Most of the time a website that has a pretty good domain will have a link to inquire about the website. You will usually have to place an offer in order to get a response.